Is budgeting hell for you? Read what people in the personal finance community do. You’re already paying more attention to what you spend. Maybe you’ve watched some experts on T.V. tell you how to budget, but you’re still not where you want to be with your money. You may think you’re just not a numbers person, but don’t get discouraged. Not doing what works for you may be the CULPRIT. Constructing a spending plan (budget) is the basic step to keeping a handle on what’s coming in and going out when it comes to your money. A personal budget is used to show how to allocate your income. It helps show what needs to put towards expenses, savings, debt, etc. It’s also useful to strategically make decisions about your money. I recently asked personal finance writers their thoughts about budgeting after hearing so many people say what they think the best way is. I also wondered why people think there is a better way to budget especially if people are getting results the way that they do their budget. maybe their insight will help you. I used the term manual loosely. For this post, manual can be pen and paper or entering it yourself on the computer. We use our own Excel Sheet. For us, it helps to have our totals recalculated automatically when we make one slight adjustment. We can look easily and find out if our budget is higher or lower than our income and make changes accordingly. We’ve been doing this for more than 4 years and it works well for us! Doug Nordman of the Military Guide was recently featured in a CNN Money article for those retired by 50. I am a numbers nerd, so I use my own spreadsheets. It helps me keep track over 6 mos to a year and I can plan my spending, vacations, etc. I don’t really need graphs and summaries so this works best for me. Hi Karen, I use Quicken. I’ve been using it since the 90’s. Every transaction I’ve ever done in my entire life is in there! And I mean every! After tracking spending for a few months, I export the data to Excel and sort descending by amount and then see what’s going on by category. This is the guide for creating the budget. I’m all about the manual. I use personal finance software that looks a lot like a ledger, but I don’t link it up to my accounts. I enter it all in myself. 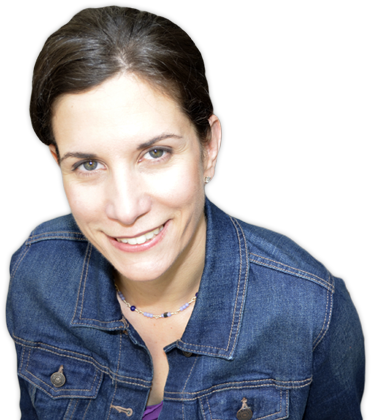 I think the online tools (or desktop, but I use online) because they take care of the heavy lifting for you. Pen and paper take too much time and can’t be accessed on the go. Success is all about results in my opinion. It doesn’t matter how you get the results. Some people need a fully-equipped gym to get in shape. Others are satisfied with body weight exercises. Personal finance is the same. I use Excel for our budgeting and tracking our progress but use Quicken for tracking our accounts. I use a page for our cash flow, one for our yearly overview and then one for the current month. This allows us to plan for future events, make sure we are on target overall for the year since not every month is the same and at the same time monitor the current month. I like using my combo because it is easier to balance and categorize everything in Quicken but then I create reports to copy to Excel because I feel like I can analyze everything better in Excel. Online tools remove the room for human error. It’s quite easy for me to forget a zero (or to add one) when typing something into Excel, but if the online tool is pulling in the information for me, then it’s much less likely to be incorrect information. I’m a big fan of using Mint.com to track my spending, although I use a good, old-fashioned Microsoft Excel spreadsheet to budget. At least I’m not Luddite enough to use pencil and paper! Because they are wrong. Judge by results, often harsh but always fair. Whatever works is what matters. There are many ways to create and use a budget. I think ultimately you have to try something and see what right for you. Act as if you are shopping for clothes. The sales person can recommend something for you. The item could look great on the rack but when you try it on, it doesn’t work for you. Crafting a personal budget is the same way. You have to try out different methods and see what works for you. If you have never created a budget and just want to get a quick estimate of where you stand financially, one thing I will suggest is to check out the calculators below. The first one will suggest how much money should go towards each category. The second calculator shows how much of your income is going to each expense category. Get Free printable budgets here. Great post. I feel famous! I soooo heart how you pointed out that different methods work for different people. Very true! I love my QuickBooks but other peeps I know like Mint.com, or Excel, or just plain paper. 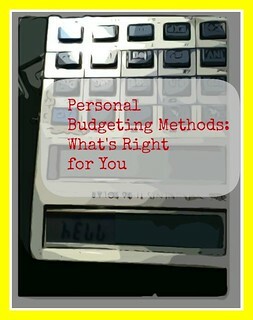 I think the more well suited the budgeting method is for the person the more likely they are to actually use it. I’m glad you liked it. Why should people care what other people use? Right?